Dr. Matt Lyon asks the question: How can we Restart amidst the realities of our lives and our world? On Friday, November 9, 2018, more than 400 creative Charlotteans gathered together at Temple Beth El on the campus of the Levine Jewish Community Center. Recent tragedies in our nation made this particular venue and theme – “Restart” – particularly timely, meaningful and moving. Our speaker was Dr. Matt Lyon, whose personal journey and professional expertise shed a notably powerful light on the morning. Dr. Matt Lyon has been teaching meditation to groups for 27 years. Dr. Matt began his deep study of meditation in 1992 with an initiation in traditional Japanese Zen meditation with a renowned Zen Master. After that, he studied with a monk and Christian meditation master in the tradition of Centering prayer. He has also been formally initiated and trained in Tibetan Buddhism, Mindfulness meditation, Transcendental Meditation, and Loving-Kindness meditation. Dr. Matt also lived and trained at the US Olympic Training center as an athlete where he was trained in leading edge biofeedback, meditation, and visualization. Dr. Matt Lyon is currently on the leadership team for Dr. Joe Dispenza, a New York Times Bestselling author and modern meditation teacher. Dr. Matt travels with Dr. Joe around the world helping to facilitate life changing retreats for thousands of people from around the globe. Dr. Matt also leads his own private retreats for small groups in North Carolina and internationally. He has also developed a Sound Healing therapeutic meditation with the ancient instrument from Australia, the Didgeridoo. Dr. Matt facilitates Sound Healing meditations locally and abroad. Dr. Matt’s practice in Charlotte focuses on Integrative MindBody medicine and has a unique approach that works with the body, nutrition, the mind, emotions, and the human energy system. His clinic is sought after from clients around the world. 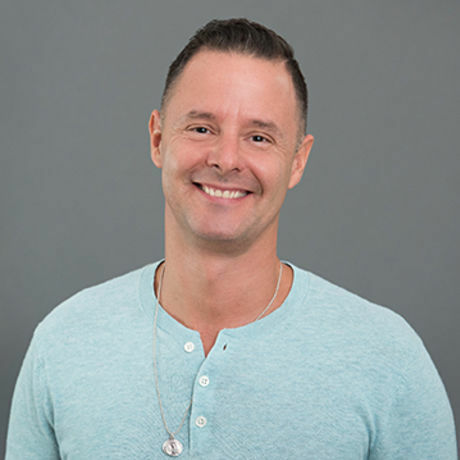 Dr. Matt is a chiropractor and an intuitive life strategist to some of the most influential thought leaders of our time and has worked with a number of prominent politicians and Hollywood actors. His love is helping catalyze healing and life changes with everyday people striving to be the best version of themselves. His passion is in demystifying meditation so that it becomes something joyful, powerful, and simple to change lives for the better. By changing individual lives, Dr. Matt endeavors to transform communities into happier and healthier cultures.